While a lot of law firms now use a custom application form for their vacation schemes and training contracts, many competitive law-related events and campus ambassador posts require a CV as a part of the application process. Indeed there are still some firms who prefer the tried-and-true medium of the CV for their training contract and vacation scheme applications. 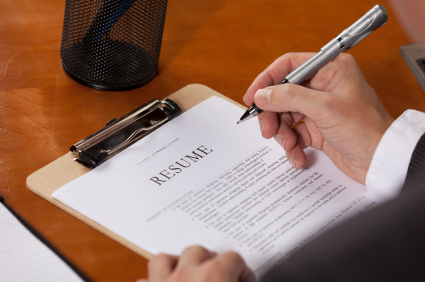 This post will be covering the most important things to bear in mind while writing your legal CV. In virtually every case, this is ​all you are going to need​​. Note the absence of a bio. The firms usually aren’t that interested in reading a paragraph you’ve written about yourself. As they say, talk is cheap. Instead you need to focus on showing the positive impact you have had in as concrete a way as possible. Since education and work experience are the two main ways of doing this, I will be focusing on them in this post. This is actually a fairly easy part of your CV to fill in once you know the rules. Here are the guidelines for each qualification you are likely to have with some examples. Note that the rule for postgraduate courses and degrees is very much the same as for your first degree. Generally, the more academic experience you have, the more you can get away with not including individual module grades. While a first year undergraduate should be including module scores in the CV, it is less important to do so if you have graduated already. Particularly if your grades are not super impressive, this is where you need to really shine. The first step to doing that is securing good work experience. You don’t actually need to secure vacation schemes to do this but that is a topic for another post. Generally you will want to put your legal work experience first after education and dedicate the most space to it. This experience demonstrates that you have actively pursued a career in law and shows the recruiter that your decision to enter the field is an informed one. Note that open days, insight days and diversity programmes are all things that you can include in this section. This is all about showing both the effort you’ve put into learning about this career as well as showing what you have learned from your experience. The firm doesn’t want to hire you only for you to quit two weeks in because you didn’t actually know what you were signing up for. ​ as a campus ambassador at my university’s freshers’ fair. While this is ok, I could give a more concrete idea of my contribution by saying I got 150 signups in the space of two hours at the freshers’ fair. This is all about showing through your actions what kind of individual you are. One of the most common pitfall I have come across personally is length. While there is a little bit of debate over how long your legal CV should be there is a pretty good consensus that ​more than two pages is too much.​ My own CV was a page long but one and a half is considered acceptable by many. The fact is that being a successful lawyer is about learning to write concisely. Practically this means making sure every sentence on your CV has a purpose. Is it giving pointless background? ​Cut it. ​ Is it demonstrating a skill you have already demonstrated? ​Cut it. The more experience you have, the more ruthless you will need to be with what you include. The next most common type of error is that of spelling and grammar. I cannot stress enough how much mistakes in spelling and grammar can negatively affect your app. You simply cannot apply to a job which values your ability to use the English language and then make mistakes in your use of the English language. Whether it is your first draft or your final draft, you need to proofread everything ​as you are writing, proofread ​at the end of the document, then take a break and ​proofread again . You may even want to employ the help of a trusted friend to go over it one last time. You simply cannot afford to make any mistakes here. The final pitfall I will discuss is formatting. Put simply, a legal CV should look pretty boring. Another big part of this job is understanding what style to employ for the situation. In this particular situation, excessive use of colours, pictures and other formatting is simply not necessary. You should be seeking to convey as much relevant information about you in as efficient a manner as possible. In practice, this means sticking to black and white, using traditional fonts (Times New Roman, Arial) and writing in a sensible size (11 is a good starting point). Boldface, italics and underlines can be used sparingly to place emphasis on different elements of your CV and tables with white/transparent lines are a good way of organising information into neat rows and columns. In this whistle-stop tour of CVs we have covered the parts of a legal CV, gone into some detail regarding the two most important parts and finally gone over some common pitfalls. The final tip I will leave you with is to maintain consistency in everything you do when writing your CV. Your CV is a lot like the suit you wear to an interview. It should be clean, smart and not too flashy. Both your CV and your suit should inspire confidence in the fact that you are a reliable, efficient and sensible individual.